Two visits to Sligo – 82 to sites in Dublin. The North West fared poorly in IDA site visits during the earlier part of 2017. Data released by the Minister for Jobs, Enterprise and Innovation, Frances Fitzgerald has revealed that Sligo, for instance, had only two IDA-led potential investor visits in the first quarter of 2017. Site visits to other regional locations included just one to Donegal and one to Leitrim. Roscommon had one visit, Mayo none. 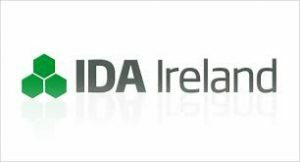 In the same period, however, the IDA organised 82 visits to sites in Dublin – 80 more than Sligo. There were ten each to Limerick and Clare, nine to Cork and twenty-three to Galway. This week, a Ballymote TD Eamon Scanlon has called on the Fianna Fail supported Government to immediately lay on funds for a Sligo inner relief road which, he submitted, is needed to accommodate the development of new industrial estates. He reportedly instanced the kinds of businesses the IDA envisaged for the area. “If it’s manufacturing it will tend to be in a fairly advanced clean industry like medical devices where there are cleanliness height requirements, for clean rooms and similar facilities. The IDA had just embarked on the construction of a new 31,000 sq ft advanced technological building at Finisklin, expected to be completed by last November. Two other advanced factories were also being built in Castlebar and Tralee. Nugent is said to have stated, “We don’t want to be using up millions of euros of taxpayers money to erect buildings. In a normal functioning property market, banks and developers would play in that space for us. Deputy Scanlon said Sligo County Council has applied for funding for an inner relief road, “which is expected to cost around €14m. It is essential that this money is approved because without it investment in the region will remain static,” he added.